July was a month made awesome by Felkerino’s and my incredible bike tour in Colorado. Since returning, I have not had much of a craving to ride. I’ve been going through “what’s next” ruminations that often happen after a big trip like this. I was so focused on Colorado that I had not thought beyond that in terms of cycling. I think I see a thing or two on the horizon so I’ll keep you posted as they take shape. Felkerino and I participated in a few brevets, but went no further than the fleche and a 300K, choosing instead to focus our energies on bike touring. We also participated in our first ultra-cross race, which was a blast. 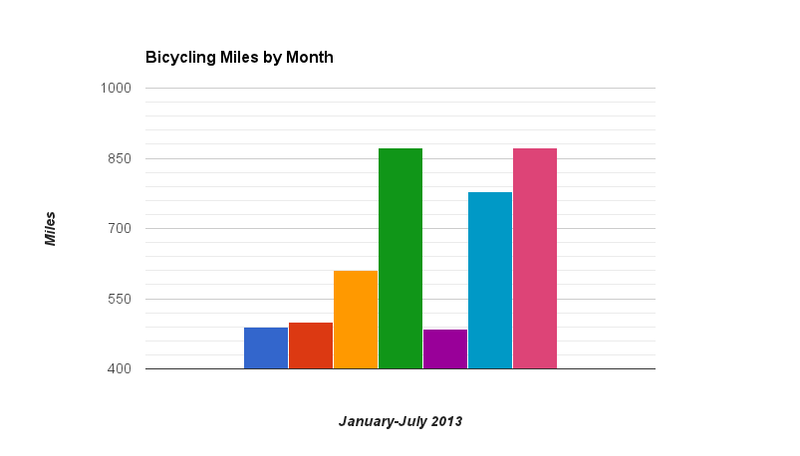 My bike miles are down this year; last year at this time I’d ridden 570 additional miles. That makes me feel like I’m behind in some way, but only when I look at the spreadsheet. Generally, I feel right where I should be. This year I needed to knock back the miles to reset my affinity for cycling. So far, it’s working. While I may not be riding as much, I’m running more and I have one marathon and a 1/2 marathon in the bank. 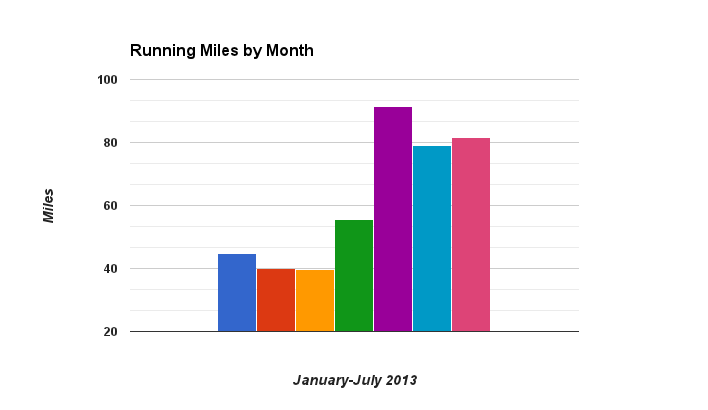 I ran a total of 512 miles last year, and this year I’ve already run 432 miles with five months to go in 2013. I switched jobs at the end of last year and now work in a different part of the city. I attribute the increased running to my desire to do different things this year as well as my new office’s proximity to the National Mall, the running playground for many D.C. workers. Earlier this week I heard several tourists remark on the number of runners they saw. As one kid put it “This is a great place to run!” Who can disagree? Another big change from 2012 is that my weight is down. Since January, I have lost ten pounds and leaned up. I was not trying to lose weight, but I have made an effort to eat better and be more regimented in my day-to-day fitness. It helped that my job is located next to basically zero food options so I am forced to be more disciplined with my food intake. While at first I disliked being marooned from many lunch options, now I’m grateful for it. I also think the regular (and more focused) strength training through the winter and spring months combined with the increase in running has leaned me up, too. 2013 has been a year of changes on various fronts. Some of you may recall the post I wrote at the beginning of this year, Looking Ahead Without a Spreadsheet, where I expressed dissatisfaction with my “story of sameness” over the last three years. People gave me some great suggestions in the comments of that post for changing it up in 2013, and I’ve incorporated some of them. I worked directly with a trainer. While I have yet to do an adventure race, Felkerino and I completed our first ultra-cross event together. I still keep a spreadsheet, but I have not been looking at it from a “racking up the miles” perspective. Instead, I see it as a reflection of how I’m spending my energy and I don’t fret over it– not yet, at least. Looking ahead, I have a few running events penned in on the calendar in the upcoming months. Those start happening late September so August will be a month to focus on longer runs in preparation for the marathon distance. Yes, I actually wrote these plans down in ink as it makes them more of a real commitment! The ride goes over all 50 of the state streets in the District of Columbia. I think the full route is something like 65 miles. Are you riding? If so, I hope to see you there in September. 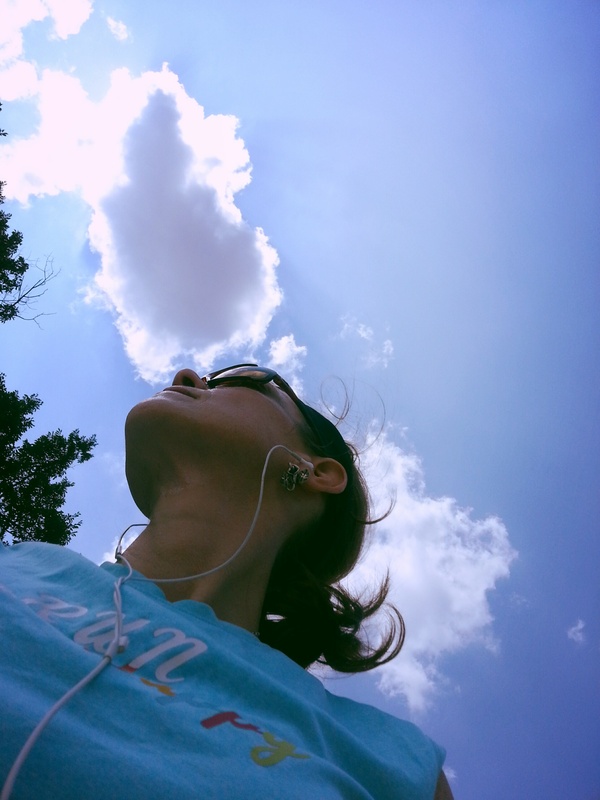 Looking forward to more good running, riding, and general healthy activity. And more charts! Ha ha, kidding! No more charts. Being raised in the tenements of the South Bronx, NY, I’ve learned at a very young age.. “one man’s floor is another man’s ceiling”. Brava…!!! So I have an affinity (dream) of being part of a tandem team. (What a great ‘date-night’ .) I stumbled onto your blog shortly before Colorado…vicariously I’ve been enjoying every moment. I’m a numbers person…but today… your charts moved me to comment. I’ll have to try that! Keep riding & running….!!!!! Thanks and I’m glad you’ve enjoyed the blog. It really is a dream come true to be on tandem with Felkerino. We have a good time together. Love your revamped focus. Great idea to keep things from getting in a rut. I am signed up for the 50 States Ride! It will be my first!